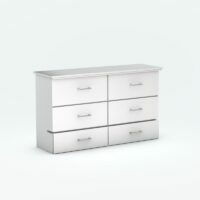 A spare bedroom in a cabinet and it now ships FREE! 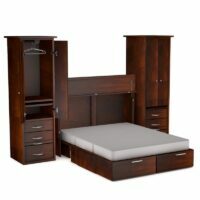 This Cabinet Bed packs a Queen sized bed with a premium gel memory foam mattress included. 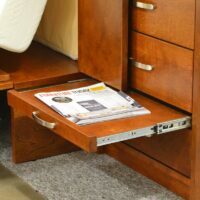 It does not require to be attached to a wall and is a big space saver. Buttercream finish. 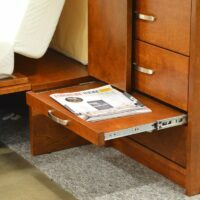 The Daisy Cabinet Bed is a great space saver and instant guest bed. 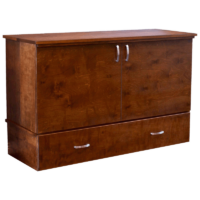 This cabinet bed features a beadboard panel design. It’s finished in a Rich Buttercream. Best of all? 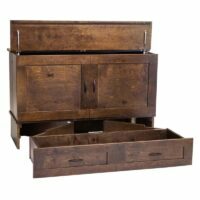 It’s made with real wood with no particle board. 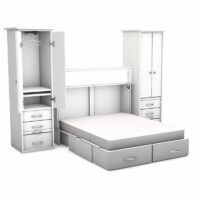 This is a freestanding Murphy Bed and does not need to be attached to a wall like a traditional wall bed. 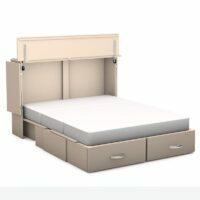 It is easy to deploy and folds out in seconds. 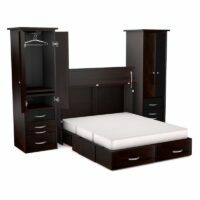 The premium gel memory foam mattress (included) fits inside the cabinet and is very comfortable. 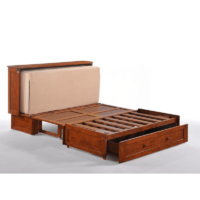 This Queen Cabinet Bed features a storage drawer at the foot of the bed. 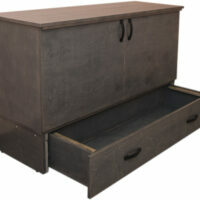 It’s a great place to store linens and blankets. 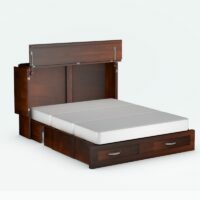 The headboard has a built in USB charger so you can charge your phone and keep it beside at night. This is a real wood product. All wood (Parawood) contains no particle board. The Daisy is made from environmentally sustainable rubber wood. 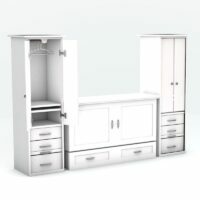 The Daisy Murphy Bed Cabinet comes with a limited 10 year warranty. The premium gel memory foam mattress is covered by a limited 3 year warranty. 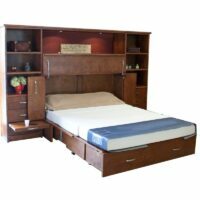 The freestanding Murphy beds are made with a renewable hardwood called Parawood. Parawood comes from the rubber tree imported from Malaysia. 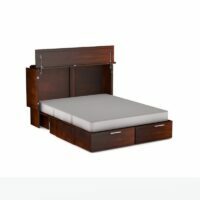 The bed’s wood is certified environmentally friendly by the Malaysian government. 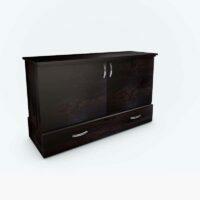 All wood used in the making of the bed cabinet comes from eco friendly renewable rubber plantations. Not only can rubber wood trees continually regenerate year after year, but the tree also produce a nice hard wood with a light grain that takes finish well. 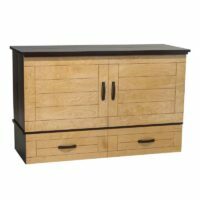 The wood is a blonde color and is similar to birch or beech wood. 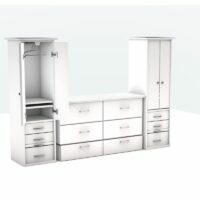 Made a perfect addition to our den to create a pop up bedroom for my 82 year old mom who needed to stay on one level. The mattress is amazing. 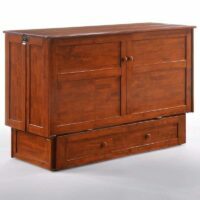 My family has bought multiple pieces from this company for many years and always been very happy with every purchase. 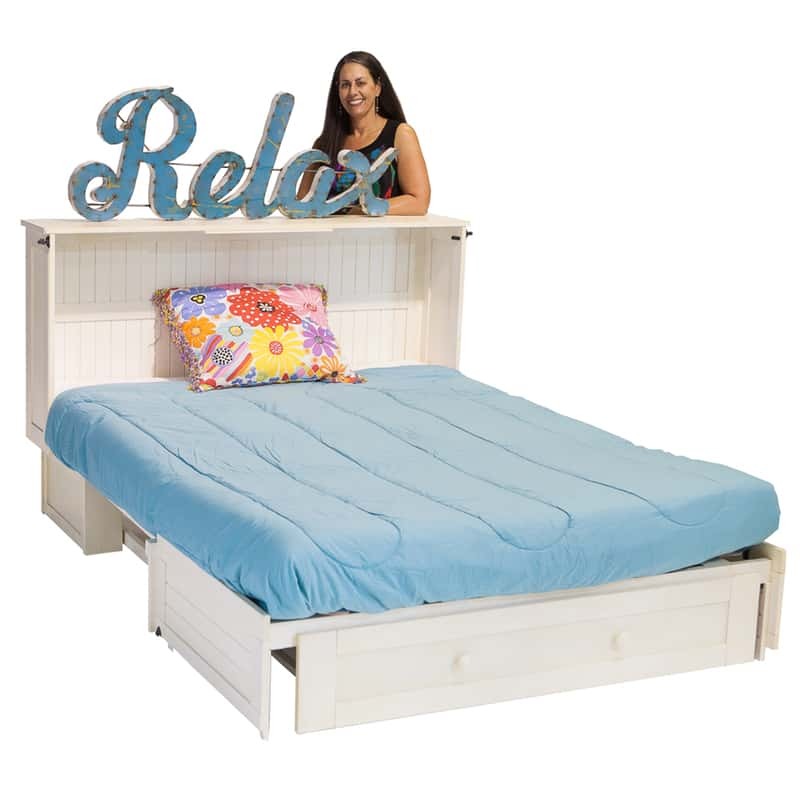 We just brought this bed down to our beach house that was damaged to sleep in while we fix it up and it is very comfortable and well made. We love this place.